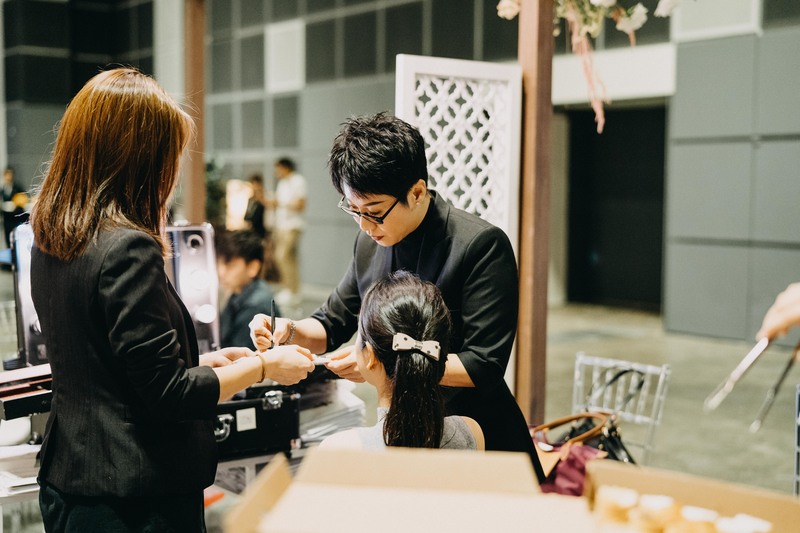 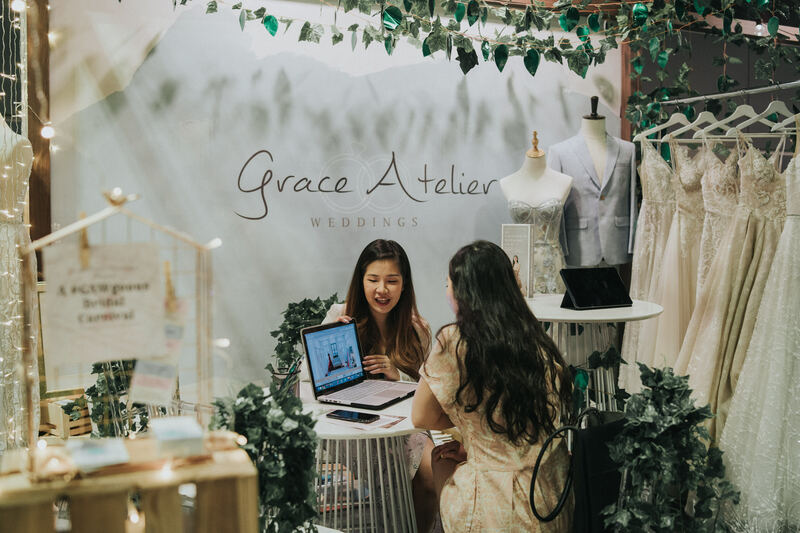 The Singapore Wedding Fair 2019 aims to introduce the latest trends in the wedding industry along with professional wedding pioneers so that aspiring couples can step up their wedding game. 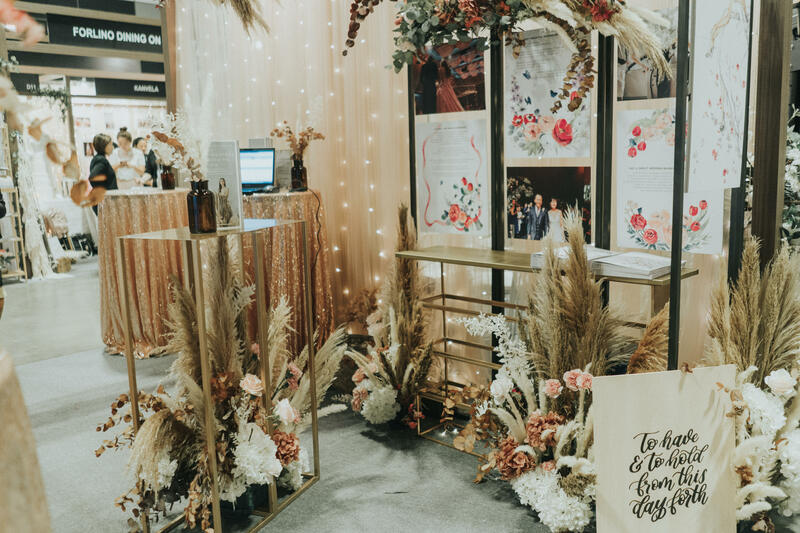 This year's Modern Heritage theme shows off an exquisite concept involving natural flowers in sandstones with hints of coral combined with ethnic elements. 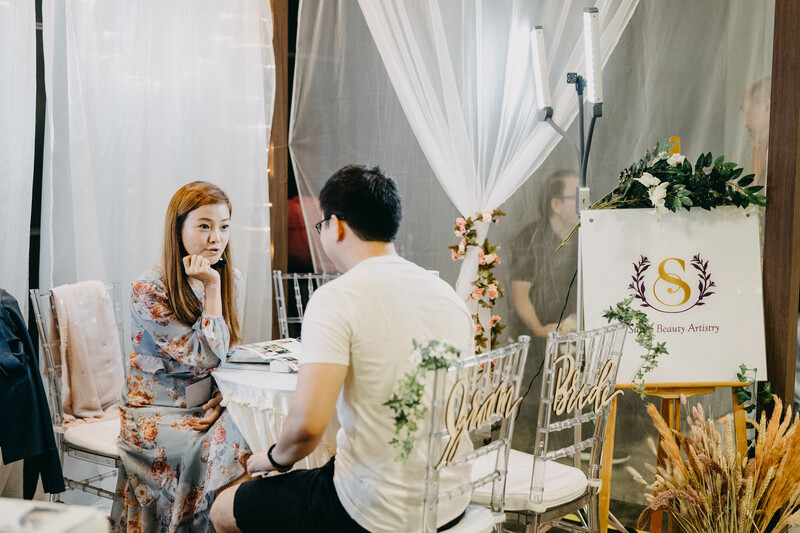 Over 70 wedding professionals were present during the event and reaped the benefits of having eager couples came and made large transactions. 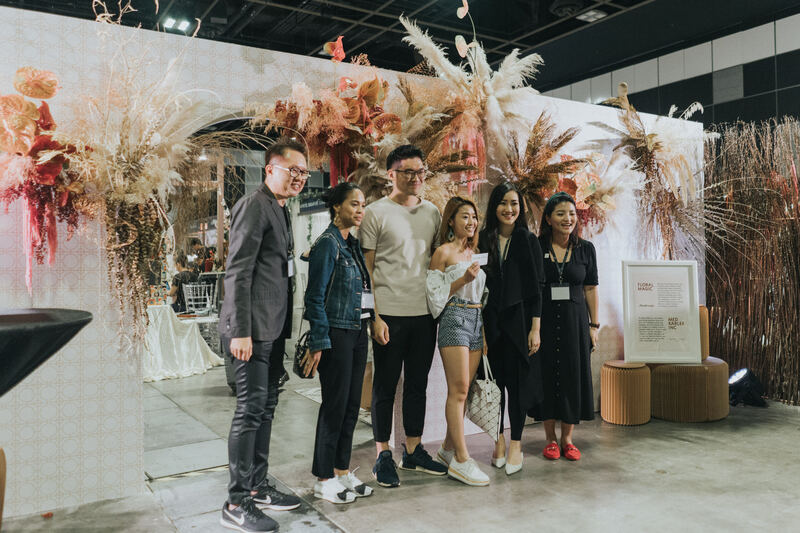 A few vendors were also lucky enough to be visited by celebrities, for example, actress Shu An Oon who spared a time exploring Bucket Full of Roses' booth. 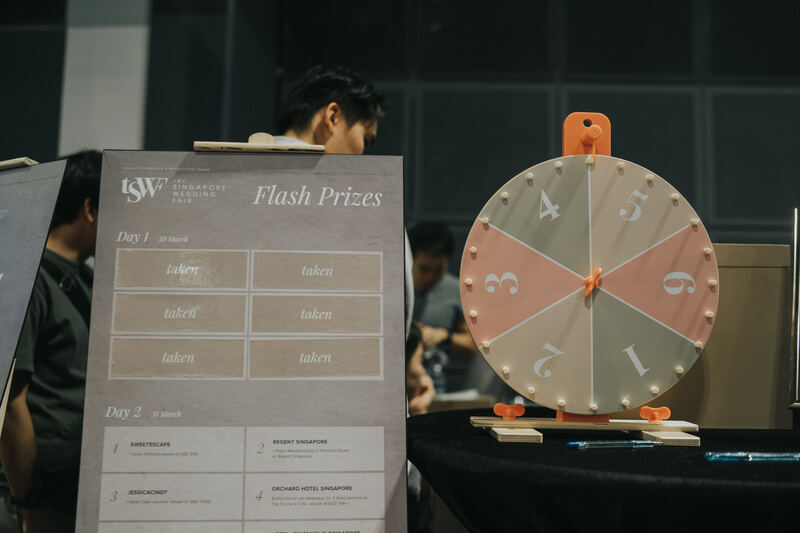 Plenty of prizes were given out, such as a total of $20,000 cashback for those who spent a minimum $200, and Flash Prizes for visitors who made the first six transactions of each day. 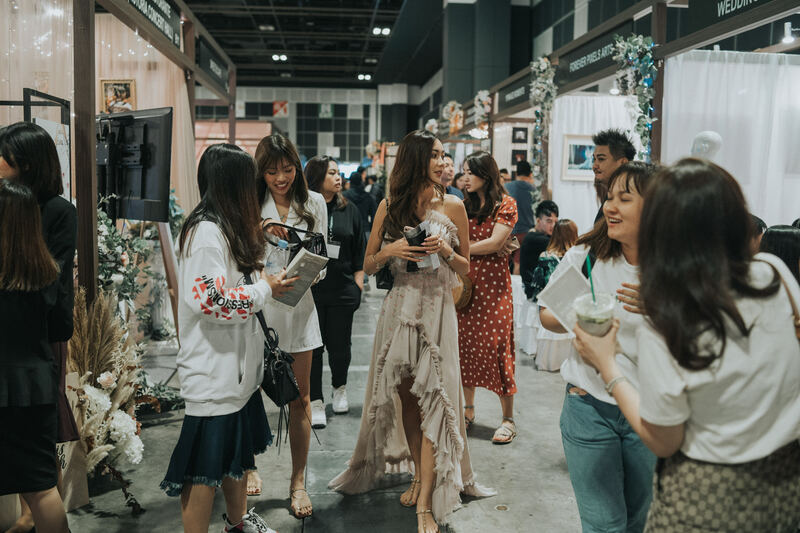 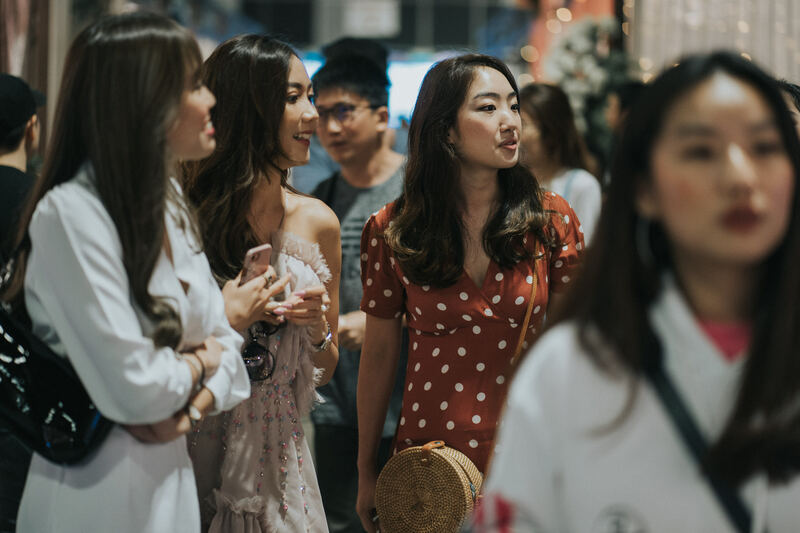 In addition, there was a Coin Machine Game where visitors could redeem a coin by taking a picture in the event area and won exciting prizes, such as Sephora vouchers, Starbucks vouchers, tote bags and pins.